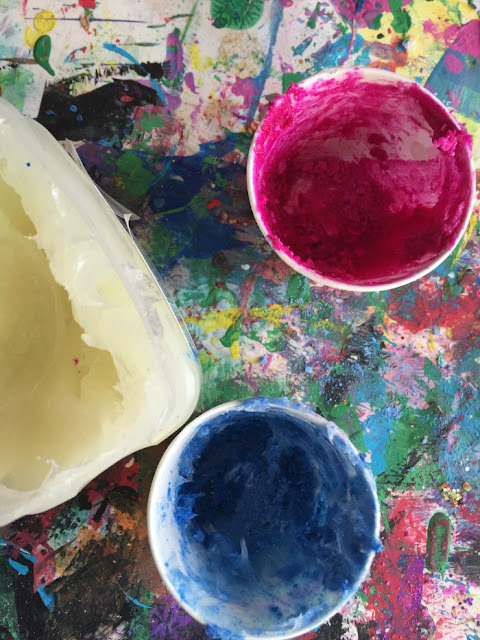 What do chalk paint, a famous artist and kid-created art have in common? 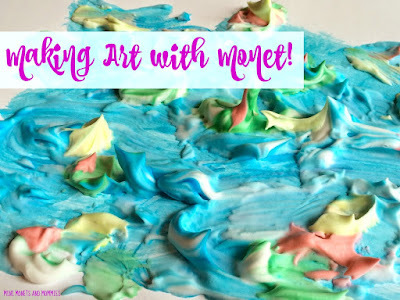 Well, you can find them all here in this Impressionist Monet’s Water Lilies finger paint art exploration! Monet is one of my favorite artists. Back when I was working as a museum arts educator, taking the children to see his Water Lilies was always a treat. Maybe it had something to do with the colors, the brush strokes or the sheer size of the work, but the kids were always drawn to it. With that in mind, I’m also kind of a fan of having kids make some of their own Monet’s Water Lilies-inspired art. · What do you think is going on in this painting? · What do you see? · Why do you think the artists used these colors? · How could you make an artwork like this? 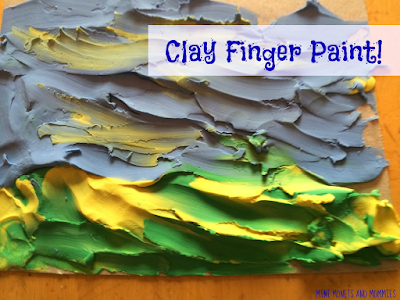 Let’s start with the Impressionist DIY chalk finger paint. There are two ways to do this. For either, you’ll only need two ingredients: Colorful chalk and petroleum jelly. Ok, so you’ll also need plastic baggies for one of the options. Put the chalk in the baggies, tie/seal them up and smash away. 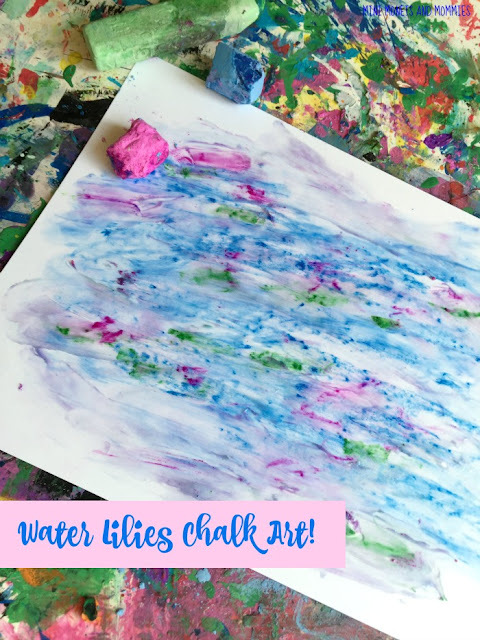 I used the back of a wooden spoon, but your child can come up with her own creative way to crush the chalk into bits (this promotes problem-solving and critical-thinking skills). 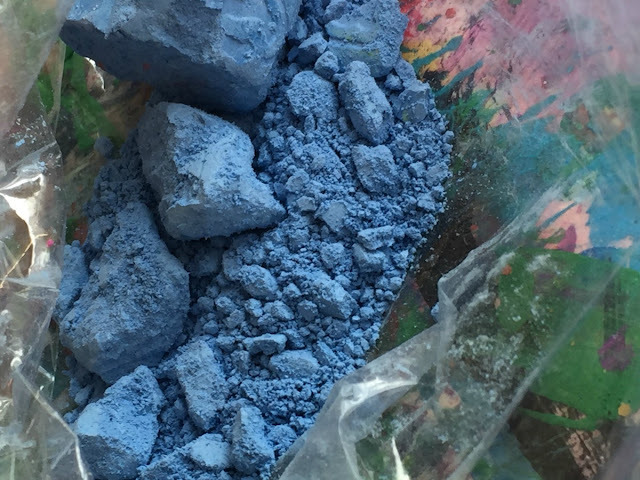 When the chalk is smashed, mix in the jelly (the more you put in the lighter the color). Now you’re little artist is ready to finger paint. Yay! 1. 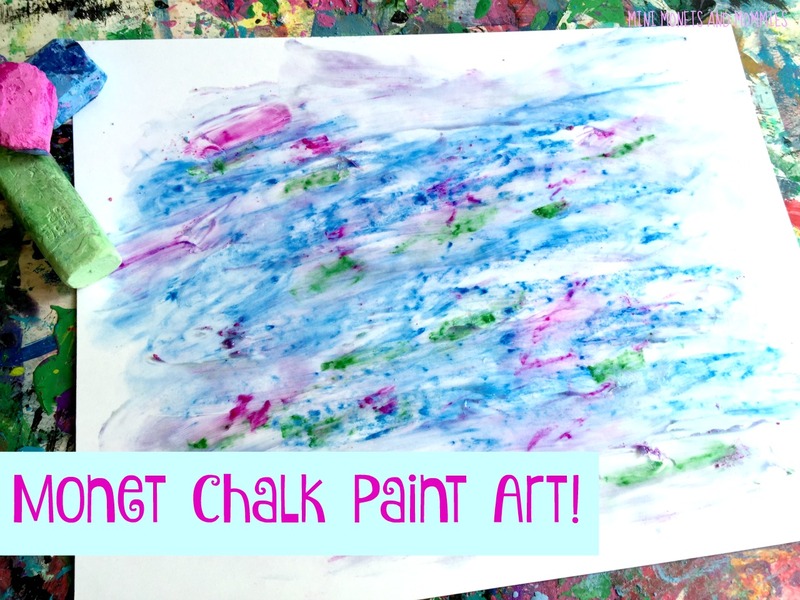 Draw with the chalk on white card stock paper. Start with a blue, creating a pond of water. 2. Add green lily pads, pink, purple, yellow (and other colors) flowers and draw in a few shaded or highlighted areas with different hues of chalk. 3. Scoop some petroleum jelly out. Your child can use her fingers to spread the jelly over the chalk, smudging and smearing it. Add more chalk drawing (and jelly) as needed. 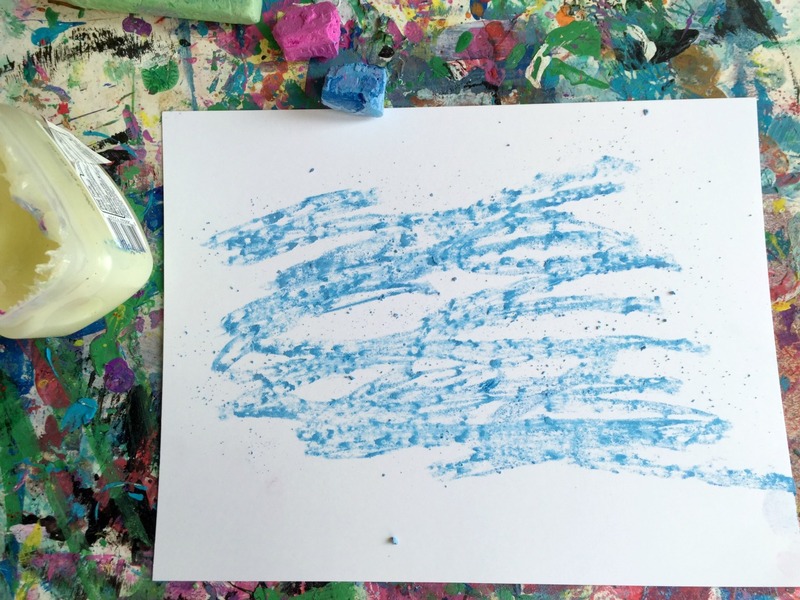 There’s no ‘right’ way to do this art activity. 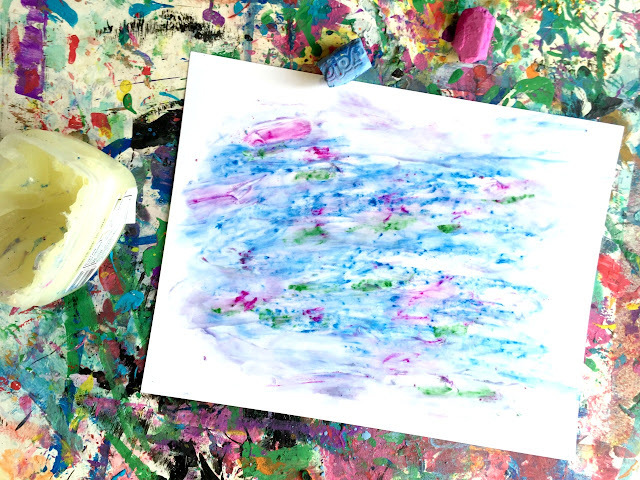 Let your child experiment and explore with the chalk and jelly, discovering how to make the colors spread or how to make textures. Looking for more activities, but with different famous artists? Follow my Pinterest board for ideas! 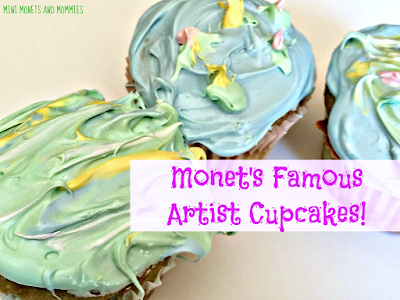 So many beautiful Monet inspired crafts - love the cup cake idea too! This is such a great idea. I might try this with my class next year. Need a Instant Payday Loans Online with direct deposit? It's now safer to get a quick payday cash loan online, even when one is looking to borrow money with bad credit, because recent regulations have made it mandatory that cash advance lenders must provide written documentation as to how the pay back process works. These mandated regulations are a big deal, because they delineate how the cash advance pay back process works. Regards quite a lot a whole lot with regards to sharing a lot of knowledge. Considered recognize a fabulous effectiveness about your thoughts together with I'll be set up a fabulous unwanted create. For all of these the past few years take this phenomenal kitchen remodeling weschester county Experience penning together with regards quite a lot a whole lot almost always restraint.